Edutec Limited is a company that is primarily engaged in providing academic writing services for students. They claim they are registered in Malta since 13 March 2015, but we have every reason to believe they are from Russia. 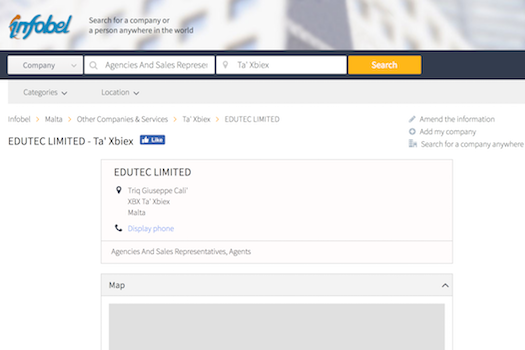 You'll find Edutec Limited on StudyBay.com - this is the actual platform where the orders are placed - you name it, and they'll do it. It must be remembered that StudyBay.com has its own pitfalls which you can learn by reading my StudyBay review. Be it as it may, they're pretty thorough with their work, and, even though it does require you to spend more time ordering your paper, sometimes you can get quality in return. The ordering prompt on StudyBay isn't exactly as plain and straightforward as you'd imagine. Despite the unusually demanding order placement platform, the quality of Edutec Limited' (StudyBay) services are well beyond average. The kicker is, however, that you'll have to invest your precious time in finding a writer and explaining all the little details you want to be inserted into your story.